150 Martin Luther King Blvd. Dover, DE 19901 LWVDE Advocacy Corps. For details or to attend this meeting, please contact the committee chair, Sandy Spence. Smyrna, DE 19977 Elections Subcommittee meeting. Regular 1st Tuesday meeting of the LWV. Regular 1st Tuesday meeting of the LWVDE advocacy subcommittee covering voting and elections in Delaware. If you are interested in voting/elections legislation and lobbying, contact Letty Diswood for details. Dover, DE 19904 League Day in Dover. 8:30 Registration, Program 9-11:30, Lunch with legislators. Spend afternoon at Legislative Hall. Attendees are urged to go to Legislative Hall after the buffet lunch to meet with their own and/or other key legislators to advocate for any or all of the above issues. Appointments will be made for you. Position papers on each of the four topics will be provided to all attendees and packets will be available to distribute to legislators. Please see the flyer for details and submit your registration form by March 25. Dover, DE 19901 Table Event. The Advocacy Corps will have a table in the second floor lobby of Legislative Hall where we will provide information about our 2019 legislative priorities. Dover, DE 19904 End-of-Life Options. All are invited to a luncheon and discussion of End-of-Life Options, sponsored by LWVKC. Space is limited, so please RSVP ASAP: reeddonna@gmail.com. Philadelphia, PA, on Ben franklin Parkway Women's March. 9:30-noon Tatnall Building, 2nd Floor Conf Rm. Smyrna, DE 19977 LWVDE Elections Committee meeting. Meeting of the LWVDE state advocacy corps subcommittee. If you are interested in voting/elections, legislation and lobbying contact Letty Diswood. Wilmington, DE 19807 One Person, One Vote. National Popular Vote panel discussion and Delaware organizational meeting. Co-sponsored by the League of Women Voters of Delaware and Common Cause. Will this be the year finally to pass the National Popular Vote Interstate Compact in Delaware? Find out how you and your group can help. For reservations click here. Smyrna, DE 19977 Elections Committee Meeting. Meeting of new LWVDE advocacy committee focusing on voting and elections in Delaware. Contact www.lwvde@comcast.net for details. Newark, DE 19716 New Citizen Naturalization Ceremony. Naturalization Proceedings for the US District Court, District of Delaware. Contact lwvde@comcast.net to help deliver welcome packets at the ceremony. Holiday Buffet ~ $22.00 ~ All Inclusive RSVP to Suzanne Campos by November 28 Contact her at: 410-491-6226 or scampos61249@gmail.com. Please pay at the League Registration Table on December 5 by check made out to LWVKC or by cash. We will have Greeters situated at the Hotel entrance and the elevator to assist members and guests. 7 a.m. to 8 p.m. Your Representative District polling place. GENERAL ELECTION. Vote for one U.S. Senator, a Representative in Congress, State Attorney General, Treasurer and Auditor, half of our State Senators and all State Representatives. Dover, DE 19903 Candidates Forum, State and National Office Aspirants. All candidates who qualify to be on the Delaware ballot were invited to participate. That includes candidates from "third" parties, including Green and Libertarian. United States Senate candidates Democrat (Sen. Tom Carper), Republican (Robert Arlett) and Green (David B. Chandler) are participaing. Unfortunately, Representative Lisa Blunt Rochester (Representative in Congress) had a scheduling conflict and will not attend. Her opponent, Scott Walker will attend but is not permitted to participate in the forum because of LWV compliance with IRS, FEC and FCC regulations governing non-partisan groups sponsoring debates. There must always be at least two points of view represented for each office. Both candidates for Attorney General (Dem. Kathleen Jennings and Rep. Bernard Pepukayi), along with State Treasurer (Rep. Kenneth Simpler, Dem. Colleen Davis, and Green David B. Chandler) plus Auditor of Accounts (Dem. Kathleen McGuiness and Rep. James Spadola) are expected to attend. There are two write-in candidates (U. S. Congress and Attorney General) who requested to join the debate, but since they did not qualify to have their names appear on the State of Delaware election ballot in the voting booth, the League can only invite them to attend the event and be announced as write-ins from the audience. Dover, DE 19904 Candidates Forum, Delaware and Kent County. Aspirants for State and County Positions will discuss questions submitted by forum attendees. For details go to https://ivote.de.gov/ Register to Vote in the General Election. DEADLINE for unregistered citizens to register to vote before the November General Election. Smyrna, DE 19977 LWVDE Elections Committee Meeting. Second meeting of new LWVDE advocacy committee focusing on voting and elections in Delaware. Contact www.lwvde@comcast.net for details. Wilmington, DE 19801 New Citizen Naturalization Ceremony. Naturalization Proceedings for the US District Court for the District of Delaware. Contact lwvde@comcast.net to help distribute welcome packets at the ceremony. National Voter Registration Day!. Sign up your League as a partner in this celebration of democracy, simply by hosting or publicizing a registration event in your community on 9/25. Join thousands of organizations, elected officials, celebrities, and other partners---including hundreds of participating state and local Leagues---by signing up today! The League has been the single largest on-the-ground partner for NVRD since 2012. Let's keep up the trend! 10 am - 10 pm online VOTE411 Virtual Launch Party. This one is for the General Election VOTE411 Guide, after primary results are in. 7 a.m. to 8 p.m. Your Representative District Polling Place. You should receive a polling place card with the location in July. PRIMARY ELECTION - BE SURE TO VOTE TODAY. Only registered voters from participating parties may vote. Note: Although elections are usually held on a Tuesday, we have checked with the Board of Elections and have confirmed the primary is on a Thursday this year. Dover, DE 19901 Delaware State & Ed Fund Board meetings. Items for the Agenda to Joann Hasse, president (joannhasse@aol.com). Pre-board reports to OfficeManager@lwvdelaware.org and President@lwvdelaware.org by Sunday 14, 2018. They will be compiled and sent to you by the evening of Monday, August 15. For details go to https://ivote.de.gov/ Register to Vote in the Primary Election. DEADLINE for unregistered citizens to register to vote before the Primary Election. Note: You must be registered in a participating party to vote in the primary election in September. The deadline to change party affiliation was 5/25/2018. Party changes submitted after the deadline will be held and completed after the September 6th State Primary. 10 am - 10 pm online: https://www.facebook.com/events/2156851904578576/ VOTE411 LAUNCH PARTY!. The Delaware VOTE411 races will be published on July 16, 2018, and we're going to have an interactive online party to celebrate! Stop in and watch videos, try out the published Delaware primary election voters' guide, post your reactions and questions. 150 Martin Luthere King Blvd. Across from the Senate side of Legislative Hall Advocacy Corps Meeting. For details or to attend, please contact the committee chair, Sandy Spence at sandyspence325@gmail.com. 5:30 - 7:45 pm Conference call. LWVDE and ED Fund Boards. Board meetings for the Delaware state-level league. RSVP president@lwvdelaware.org. Dover, DE 19901 LWVDE Advocacy Corps Meeting.. For details or to attend, please contact the committee chair, Sandy Spence at sandyspence25@gmail.com. Dover, DE 19901-7327 LWVDE Council Meeting. The League of Women Voters of Delaware will be holding a state council meeting. The merger of LWVDE and the Ed Fund into a single 501(c)(3) organization will be discussed and voted on. Also, speaker Amy Hjerstedt from LWVUS will outline the national organization's Transformation Roadmap. 9:15-11:30 DE Finance Sec Richard "Rick" J. Geisenberger, State Treasurer Ken Simpler, and DEFAC Chair Mike Houghton will address roles and responsibilities in state budget creation. UD's Ed Ratledge will discuss future trends in Delaware relevant to the state budget. 11:30-1:00 Buffet luncheon with Legislators. Former Senator Karen Peterson will address the politics of the budget process. Those who registered and paid for the March date must RSVP to LWVDE@COMCAST.NET so we have an accurate count. Registration is open for those who have not previously registered, with a deadline of May 4. To use PayPal, click here. See flyer here and registration form here. 10am-8pm Residents may vote in any polling place in the school district. School Board Elections. There are open positions to be elected in the following school districts: Caesar Rodney, Capital, Lake Forest, Milford, and Smyrna. In addition, each of these districts has a referendum on the ballot. Dover, DE 19901 LWVDE Advocacy Corps Meeting. For details or to attend, please contact the committee chair, Sandy Spence at sandyspence25@gmail.com. Dover, DE 19901 LWVDE Holiday Luncheon. Our statewide Holiday Luncheon is to be held in the Dover Downs Festival Buffet. $20 all inclusive, excluding alcoholic beverages. Please pay at the League registration table in cash or by check payable to LWVKC. Valet parking is available. RSVP Crystal Hamilton, cborangespider@gmail.com, 302-270-6568. Dover, DE 19901 LWVDE and Ed Fund board meetings. Monthly meeting of the LWVDE and Ed Fund boards. Dover, DE 19901 LWVDE Advocacy Corps. Please contact Sandy Spence at sandyspence325@gmail.com for questions, details, and/or to indicate you will attend. Newark, DE 19713 Visions of Justice 1027, Bail Reform: Facts vs. Fiction. Register with Delaware Center for Justice, 302-658-7174. 4 - 6 pm Home of Pat Todd LWVDE Environmental Committee Meeting. The Environmental Committee meeting is to have a guest, Susan Love, of DNREC's Division of Energy and Climate. 4-5pm EDT on-line webinar LWVUS Webinar: Managing Risk by Pricing Carbon.. In this webinar co-hosted by the LWVUS Price on Carbon Steering Committee, Dr. Robert Litterman of Goldman Sachs will speak live on how carbon pricing can be a major element in managing the negative risk of climate change. RSVP here if you wish to listen in. Dover, DE 19901 LWVDE and Ed Fund boards. First monthly meetings of new boards for 2017-2018 year. Dover, DE 19901 LWVDE Advocacy Corps meeting. Contact Committee Chair Sandy Spence for details and if interested in attending (302-841-2882). Dover, DE 19901 LWVDE Biennial Convention. "Come Together to Make a Difference: Be Part of the Solution" is the theme. No experience required to become a delegate! Join us for an informative and productive day. Speakers Amy Hjerstedt, LWVUS Board Director,liaison to the LWV of Delaware and Eugene Young, Delaware Center for Justice Advocacy Director 11:00 + 12:15 pm * Luncheon at 12:30 pm with keynote speaker The Hon. Lisa Blunt Rochester. See "What's New" for flyer and registration form. Dover, DE 19901 LWV of Delaware board and LWVDE Education Fund Board. Monthly meetings of the boards. 9:30 am - 12 noon Tatnall Building, 3rd floor Conf. Rm. Dover, DE 19901 LWVDE Advocacy Corps meeting.. Contact Committee Chair Sandy Spence for details (302-841-2882) or sandyspence325@gmail.com. Dover, DE 19901 LWVDE Board & Education Fund Meetings. Monthly meeting of the LWVDE and Education Fund boards. Please send any pre-board reports to letty.diswood@verizon.net for compilation and Jill Fuchs jillandkenny@verizon.net by Sunday, April 16. 9:30 am - 12 noon TBD Advocacy Corps Meeting. Contact Committee Chair Sandy Spence for details (302-841-2882). Agenda items include reviewing the Governor's new budget, deciding whether to support, oppose or monitor recently introduced bills, testifying at hearings and critiquing League Day in Dover 2017. Dover, DE 19904 League Day in Dover 2017. The program will address issues of League concern related to Poverty, specifically: Education, Health Care, and Housing. We will also be commemorating Equal Pay Day, which is April 4 in 2017. This day is designated annually to reflect how far into the new year women must work to achieve the same amount of pay as men in the previous year. Our primary co-sponsor, the American Association of University Women, is arranging the luncheon talk on Equal Pay. After lunch attendees will go to Legislative Hall to be present for a press conference and while the General Assembly adopts a resolution commemorating Equal Pay Day. Attendees are encouraged to wear red. 1:30 - 3:30 pm Home of Pat Todd Environmental Committee meeting. For further information, contact Pat Todd, 302-545-5196. Smyrna, DE 19709 SOLD. The film SOLD will be followed by a discussion of human trafficking in Delaware. Tickets through the theater. Sponsored by American Mothers, Inc.
Dover, DE 19901 LWVDE and Education Fund board meetings..
Dover LWVDE Advocacy Corps meeting.. Contact Committee Chair, Sandy Spence, for details (302-841-2882). 11:30 am Kent County Price-on-carbon consensus meeting. Wilmington, DE 19806 LWVDE Carbon Study Consensus meeting. Consensus meeting with presentation and discussion, special resource speaker Liz Swift from LWVCA. Newark, DE 19711 Reception for Diz Swift. League members and friends will have a chance to meet and talk with Linda (Diz) Swift, California League member and PhD geologist with over 30 years experience in minerals and oil and gas exploration. RSVP (schultz_peggy@yahoo.com or ptoddwilm@aol.com) by Sunday, Feb. 5 and a finger food or a drink would be helpful. Check out Diz's widely-admired website on pricing carbon at https://priceoncarbon.org. 10 am New Castle County Price-on-carbon consensus meeting. Dover, DE 19901 LWVDE Advocacy Corps meeting. Meeting of the Advocacy Corps. Contact: Chair Sandy Spence, 302-841-2882. 6 - 8:30 pm Location TBD LWVDE Board & Education Fund Meetings. The monthly meeting of the boards. Dover, DE 19901 LWVDE Board and Ed Fund Meetings. Please send pre-board reports to letty.diswood@verizon.net for compilations and Jill Fuchs jillandkenny@verizon.net by Sunday, January 15. All material will be emailed to you by Monday 16 afternoon or evening. The facility does not provide food, but you may bring a brown bag. 9:30 am - 12 noon Location TBD LWVDE Advocacy Corps meeting. Contact Committee Chair Sandy Spence for details (302-841-2882) or sandyspence325@gmail.com. Dover, DE 19901 LWVDE Advocacy Corps meeting. Contact Committee Chair Sandy Spence for details (302-841-2882). Agenda items include planning for the 2017-18 session of the General Assembly, testifying at budget hearings and League Day in Dover in 2017. Voter registration deadline - UOCAVA citizens. Deadline for uniformed services members and overseas citizens to register to vote in the General election. 6 - 8:30 pm CenDel Bldg. Dover, DE 19904 LWVDE & Education Fund board meetings. Monthly meeting of state boards. NOTE change to Thursday night. Voter registration ends for general election. DEADLINE to register to vote before the General election. 8 pm Absentee ballot return deadline. At 8 pm, DEADLINE for voters to return voted absentee ballots for the Primary. 12 noon Absentee ballot request deadline - in person. At 12 noon, end of issuance of absentee ballots for the September 13 Primary. Absentee Ballot return deadline - by mail. Last day the Department of Elections if required to mail absentee ballots for the Primary election. Absentee ballot return deadline - UOCAVA citizens. DEADLINE for military and overseas citizens to register to vote before Primary election. Voter registration deadline. DEADLINE to register to vote in the Primary. Virden Center STATE COUNCIL 2016 POSTPONED. Three-day State Council themed Our Legacy: Past, Present,& Future will not be held at this time. Please stay tuned! PRIMARY ELECTION DAY!!. This is the day to vote for the person in your party whom you want to see run for President. Only registered voters from participating parties may vote. 1:30 - 3:30 pm Home of Jane Dilley. Land Use/Transportation Committee. Contact Jane Dilley, jadilley@udel.edu, for directions. Dover, DE 19901 State Board Meeting. Monthly meeting of the state board of directors. Call 478-8224 to indicate attendance. 1:30 - 3:30 pm Home of Pat Todd. LWVDE/NCC Environmental Committee. Contact is Pat Todd, ptoddwilm@aol.com or 762-5995. Wilmington, DE 19806 Carrie Chapman Catt Award Dinner 2016. The League of Women Voters of New Castle County cordially invites you to attend the presentation of the Tenth Carrie Chapman Catt Award to Moonyeen Klopfenstein, La Vaida Owens-White, and Priscilla B. Rakestraw. RSVP: LWVNCC, 2400 W. 17th St., Clash Wing, Rm. 1, Lower Level, Wilmington, DE 19806, by April 6, 2016. LAST DAY TO REGISTER TO VOTE IN THE PRESIDENTIAL PRIMARY. If you want to vote in the Presidential Primary, be sure you're registered to vote by April 2nd, 2016. Dover, DE 19904 League Day in Dover 2016 - Access to Justice: Current Issues in Delaware's General Assembly. The 2016 legislative day will explore four key issues pertaining to justice in Delaware. To register, click here and scroll down the form to 'Donate to the League of Women Voters of Delaware with a credit card or PayPal.' Enter 'League Day' in the 'purpose' field." For further information regarding agenda and speakers, click here. Dover, DE 19904 State Board Meeting. The state board meetings are switched to a WEDNESDAY. Dover, DE 19904 LWVDE Board Meeting. Monthly meeting of the LWVDE Board and Education Fund Board. LWV Advocacy Corps meeting. All are welcome! Contact Sandy Spence at 302-841-2882 for details. Woodside, DE 19980 Joint LWV Annual Holiday Luncheon. The Kent County League will host a luncheon for the three county leagues of Delaware. TBD whether consensus will be incorporated into the day's events. schultz_peggy@yahoo.com Land Use/Transportation Committee meeting. Note. No November Board meeting. State Board Meeting. Monthly meeting of the state board of directors. Meetings are held the third Thursday of the month. The general membership is welcome. Please contact the LWVDE office at 302-571-8948 if you plan to attend. THE LOCATION HAS CHANGED DUE TO CONSTRUCTION AT THE ROMA RESTAURANT. AND THE DATE HAS CHANGED DUE TO COMMON CAUSE FUNDRAISER HONORING THE LEAGUE OF WOMEN VOTERS ON OUR USUAL BOARD MEETING DATE. 5:30 pm Christiana Hilton Common Cause: Good Government Tribute Awards Dinner. Tribute Award Presentation to the Delaware League of Women Voters, including the Sussex, Kent, and New Castle County Chapters. For further information, see. Dover, DE 19901 LWVDE Advocacy Corps meeting. LWVDE Advocacy Corps meeting. The AC generally meets on the second Wednesday of each month except December. However, we are meeting the third Wednesday in November. Contact Committee Chair for details or call 302-841-2882. Wilmington, DE 19801 Perspectives on Expansion of Delaware Ports. A diverse range of speakers will address the potential of Delaware ports. E-mail schultz_peggy@yahoo.com Land Use/Transportation Committee meeting. E-mail ptoddwilm@aol.com Environmental Committee meeting. Wilmington, DE 19803 Amending the Constitution: How, When and Why. Dean Rod Smolla will present the program. For program information, please see the flyer. For LWVUS material on this issue, please go to Amendment Study. DOVER,DE 19901 State Board Meeting. Monthly meeting of the state board of directors. Meetings are held at Roma the third Thursday of the month. The general membership is welcome. Please contact the LWVDE office at 302-571-8948 if you plan to attend. THE LOCATION HAS CHANGED DUE TO CONSTRUCTION AT THE ROMA RESTAURANT. The Gray Fox is located across from the M&T bank and parking is on the street. After 5 pm there is no charge for parking. Georgetown, DE 19947 1972 Clean Water Act: A Federal Perspective on Challenging Issues. A LWVSC Land Use Committee Forum. Speaker: Leon G. Billings, formerly staff director of the Senate Subcommittee on Environmental Pollution, he is the principal majority author of the CWA. Mr. Billings currently teaches at Yale University and the University of Maine School of Law. Dover, DE 19901 LWVDE Advocacy Corps meeting. The AC meets on the second Wednesday of each month except December. Contact Committee Chair for details or call 302-841-2882. 1:30 - 2:30 pm Home of Peggy Schultz Land Use/Transportation Committee Meeting. The Committee is studying the Coastal Zone Act, with fall focus on port proposals for the CZ. Contact Committee Chair. Newark, DE 19713 LWVNCC Hot Topic Lunch. Discussion about considering change to Constitution to address money in politics. RSVP lwvde@comcast.net or 302-571-8948 by Saturday, August 23. Leesburg, VA 20176 LWV National Council. Dover, DE 19901 LWVDE Advocacy Corps Meeting. Call Sandy Spence at 302-841-2882 for details. Dover, DE 19901 LWVDE CONVENTION. The Biennial Convention will be held in the Chesapeake Room of the Dover Downs Hotel, with Civil Rights and Social Justice in Delaware as the program theme. The flyer contains program and registration information. Dover, DE 19901 State Board Meeting. Monthly meeting of the LWVDE Board of Directors. 10 am - 8 pm Statewide School Board Elections: Vote in the school district where you live. School Board Elections. See the Voting and Elections-School Board Elections section of this website or contact your County Board of Elections for more information on candidates and voting places. Lewes, DE 19958 Money and Politics: Campaign Finance Reform in Delaware.. The League of Women Voters of Sussex County, The League of Women Voters of Delaware and Common Cause Delaware are co-sponsoring a Money and Politics event in Sussex County!! Former Chief Justice Norm Veasey will be our special guest speaker and will discuss the problem of money in politics in Delaware and what we can do about it. Please join us for lunch. The cost is $20, including tip, and will be collected at the door on the day of the event. Please RSVP by May 5th to the Common Cause website. Georgetown, DE 19969 Indian River District #1 - School Board Candidates' Forum. Come out and meet the candidates running for the 2 open seats on the Indian River District #1 School Board. You will have the opportunity to ask questions of the candidates. This event is being sponsored by League of Women Voters of Sussex County. Dover, DE 19901 League Day in Dover 2015. Learn and advocate on five key issues the LWV of Delaware is addressing during the 148th General Assembly session! Click here for flyer and registration form. 1:30 pm - Legislative Hall. Present Fact Sheets on each of these issues. LWV to be honored by adoption of a joint Resolution celebrating LWV's 95th anniversary. District 2 - Todd Ruckle, incumbent, and Glenn Schmalhofer. District 4 - Margrit Hadden, incumbent, and Ronald Walker. Dover, DE 19901 State Board Meeting. Monthly meeting of the state board of directors. School Board Candidates Filing Deadline. Dover, DE 19901 State Board Meetings. Monthly meeting of the state board of directors. All meetings of the board will be held on third Thursdays at the same location and time. 7 pm Home of Peggy Schultz (please email jadilley@udel.edu or schultz_peggy@yahoo.com for directions) Land Use/Transportation Committee Meeting. Join us in person or by video or phone call Skype. Advance notice needed for Skype. Agenda includes: Next steps on informing public about the Coastal Zone Act;reports on committee interviews;review draft statement on Refinery permit application;draft statement on open space and agland preservation for State Bond bill; possible action on Fort DuPont project; next meeting; other? Please notify the above contacts to have other topics addressed. Newark, DE 19713 Hot Topics Lunch, February 2015. The speaker will be Joan Lyons, Executive Director, Seamen's Center of Wilmington, Inc. The volunteer-driven, community-supported Seamen's Center is open 7 days a week and welcomes crewmembers from more than 450 ships a year. RSVP at lwvde@comcast.net or 302-571-8948 by Saturday,1/24/15. Please feel free to come even if you did not call in. If you need a ride,leave a message on the League Office phone or e-mail when you RSVP. FOR CAR POOLING- CALL 302-571-8948. Street, Dover 19901 LWVDE Advocacy Corps meeting. Call Sandy Spence at 302-841-2882 for details. Dover, DE 19901 State Board Meeting. Initial 2015 monthly meeting of the state board of directors. Further meetings of the board will be held on third Thursdays at the same location and time. 7 am - 8 pm GENERAL ELECTION. PLEASE INFORM YOURSELF AND VOTE! Polls are open from 7 am to 8 pm. For information, click Vote411. General Election Registration Deadline. DEADLINE for uniformed and overseas citizens to register to vote before the General Election. 1:30 - 3 pm Please click venue for instructions. Natural Resources Committee Meeting. The meeting of the LWVDE Natural Resources Committee will be at Chad Tolman's residence. Dover, DE 19901 NOTE: State Board Meeting Rescheduled. October meeting of the state board of directors rescheduled to October 23, 2014. Lewes, DE 19958 Love Our Inland Bays Dinner. Dinner honoring Governor Markell for his "Clean Water for Delaware's Future" initiative. Prepaid reservation needed by October 13th. Reservation form is here. General Election Registration Deadline. DEADLINE for Delaware citizens not registered to vote to register before the General Election. Dover, DE 19901 Fun Lunch!!. All LWVNCC and LWVSC members are invited to attend the October Fun Lunch hosted by the LWVKC. Come and enjoy the camaraderie and fresh seafood. RSVP by October 7 via e-mail to Crystal Hamilton, LWVKC Treasurer, or phone Crystal at 284-2797. People's Climate March, NYC. See the What's New section of this site for a link to the latest information on the Climate March and details of time and location of transportation from Newark and Wilmington. 8:45 am - 4 pm Tour departs from Christiana Mall parking lot, north end, near Cabella's. Coastal Zone Tour, New Castle County's CZ. Details and registration form at What's New. Everyone welcome - Open to the public. 8 pm Primary Absentee Ballot Deadline. DEADLINE for voters to return voted absentee ballots for the Primary Election to the respective Departments of Elections. 7 am - 8 pm PRIMARY ELECTION. Only registered voters from participating parties may vote. Primary Registration Deadline. DEADLINE for uniformed and overseas citizens to register to vote before the Primary Election. Primary Registration Deadline. DEADLINE for Delaware citizens not registered to vote to register before the Primary Election. Camden, DE 1934 "An Evolving Legacy: Delaware's Coastal Zone Act,". The film, "An Evolving Legacy: Delaware's Coastal Zone Act," kicks off the week-long celebration of the Coastal Zone Act. It is free, cosponsored by the LWVDE and the DE Sierra Club. A brief discussion will follow the film. Dover, DE 19901 State Board Meeting. Cancelled: Owing to traffic concerns brought on by the failed bridge and the FireFly concert, the June meeting of the state Board of Directors is cancelled. The board will next meet at its regularly scheduled time on July 17, 2014. Primary Registration Deadline. DEADLINE to change political party affiliation before the Primary Election. All League members are invited to attend, especially local board members, committee members, and all who have a passion for the League's mission. See the flyer and registration form here. There will be time for socializing, training, and movies. REGISTER EARLY: (Friday night limited overnight rooms, Saturday more rooms available.) Cost for two nights accommodations with two dinners, Saturday Lunch, and snacks, all inclusive $179. Please call 302-571-8948 or email LWV Delaware to reserve your room. See the flyer and registration form here. Law Day 2014. Law Day is a day of national dedication to the principles of government under law. Law Day programs are designed to help people understand how the law keeps us free and how our legal system strives to achieve justice and how it affects our daily lives. Each year a theme is chosen to spotlight a particular aspect of the rule of law or the legal process. For more information, please see the Law Day Planning Guide. Rehoboth, DE 18941 National and Delaware State Voter Rights: The Changing Landscape. The LWV of Sussex County is presenting this 2013-14 Educational Forum, which is cosponsored by the Coastal Georgetown Branch of the AAUW. Dover, DE 19901 "Inequality for All," a Robert Reich film. "Inequality for All" features Reich as he discusses the widening income gap and the public policies that helped create it. To see a flyer, click here. For a brief trailer, click here. Dover, DE 19904 LEAGUE DAY IN DOVER - 2014. "Delaware Agriculture - Where Poultry Rules the Roost." Registration and refreshments will be from 8:30 to 9 am. The program will be 9 am to 12:15 pm, when lunch will be served. A five-member panel will provide a balanced overview of the $8 billion poultry industry's impact on Delaware. This distinguished panel is to be comprised of Mark Davis, Exec. Asst., Delaware Department of Agriculture; Bill Satterfield, Exec. Dir., Delmarva Poultry Industry, Inc.; Amy Shober, UD Nutrient Mgnt. Spec. ; John Schneider, Sect. Mgr., DNREC's Watershed Assesment and Management Sect. ; Mike Twining, Gen. Mgr.,Willard Agri-Services; and Laura Hill, Sussex County poultry grower and Second Vice-President of Delaware Farm Bureau. The panel will be followed by a Q&A session, and the presentation will culminate with a Key Note address by Mr. Mike Scuse, USDA Under-Secretary for Farm and Foreign Agricultural Services. Following lunch, attendees are encouraged to visit the General Assembly committee meetings and to meet with their own legislators on high-priority issues. A registration form and a flyer with a more complete description of this engrossing topic, derived from our national concensus subject for this year, are at League Day in Dover. Please phone 302-762-5995 for directions. Energy/Climate/Natural Resources Committee Meeting. This committee is at the state level, and League members from throughout Delaware are invited to participate. 7 - 9 pm Media Room of Cokesbury, Loveville Road (near Lancaster Pike) Ag Study Informational Meeting sponsored by LWVNCC. This will not be a consensus meeting but will be an opportunity to hear from two farmers in New Castle County. Dover, DE 29901 State Board Meeting. Monthly meeting of the state board of directors. Dover Election Task Force. The Task Force will meet at 6 pm at Legislative Hall. Dover, DE 19901 House Committee on Economic Development/Banking/Insurance/Commerce. President Charlotte King will present the LWVDE's views on the proposed minimum wage bill, SB 6. Please phone 610-869-8848 for directions. Land Use/Transportation Committee Meeting. Our focus on the Coastal Zone Act will continue, and people are welcome from throughout the state. Meeting will be Skyped for anyone who cannot appear in person. Please let Peggy know a day or so ahead of time. Click here for further information. Dover, DE 19901 Education Study Committee Meeting. Members interested in serving should please contact Charlotte King or Bill O'Connor. Camden, DE 19934 LWV Agricultural Update Forum. Public forum exploring US agricultural policy and its affect on Delaware. Following presentations on federal conservation cost-share programs, crop insurance and farm subsidies, there will be time for discussion. Lewes, DE 18941 LWV Agricultural Update Forum. Public forum exploring US agricultural policy and its affect on Delaware. Dover, DE 19901 Advocacy Corps Meeting. The Advocacy Corps is comprised of LWVDE's registered lobbyists and others who support our advocacy work. The January meeting will address numerous legislative issues and establish priorities for our advocacy during the final months of the current legislative session, which ends on June 30, 2014. For information, contact Sandy Spence, Advocacy Chair. Woodside, DE 19980 Holiday Luncheon. The League of Women Voters Holiday Luncheon, a statewide fun event for New Castle, Kent, and Sussex County Leagues. A perfect venue to socialize with League members as well as to introduce friends and family to the League. Reservations are necessary. Send check and entree preference to Crystal Hamilton, Kent County Treasurer, 1450 Peach Basket Road, Felton 19943 by November 29, 2013. 9:30 am - noon To be announced Advocacy Committee Meeting. Meeting of LWVDE lobbyists and others who support our work. Agenda includes review of legislative priorities, update on OMB budget hearings, plans for March 2013 League Day in Dover on issues being addressed by LWVUS study updating Agriculture policies. Information: contact Sandy Spence, Advocacy Chair. Wilmington, DE 19801 Public Meeting, Sea Level Rise in Your Area. Lewes, DE 19958 Public Meeting, Sea Level Rise in Your Area. Wilmington, DE 19808 Public Meeting, Sea Level Rise in Your Area. Dover, DE 19901 Public Meeting, Sea Level Rise in Your Area. Sea-Level Rise Awareness Week is being recognized by the League of Women Voters of Delaware in conjunction with other organizations as we cosponsor public meetings throughout the state. We look forward to seeing you, your friends and neighbors, at the forum in your community. 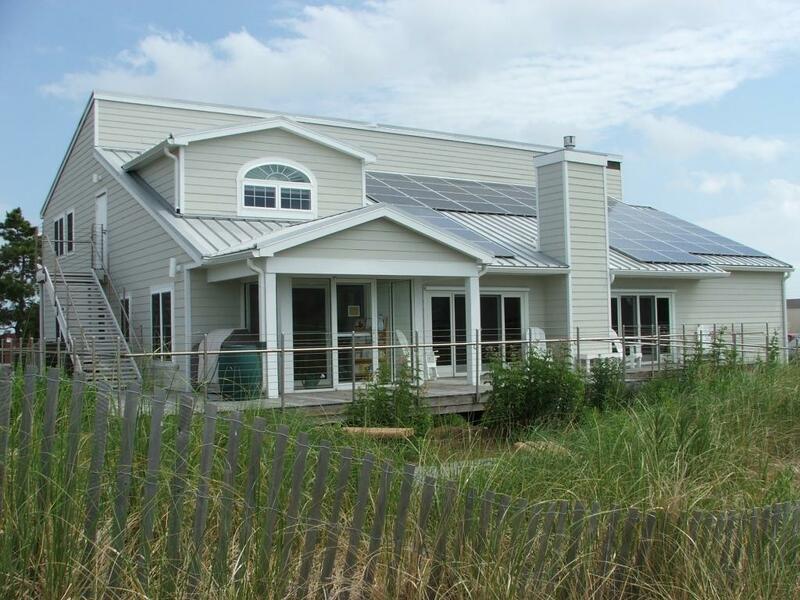 A few of the actions recommended by our cosponsors for Sea Level Rise Awareness Week are: reducing energy use, recycling, planting native trees, and installing rain barrels. There are events every day of the week: book readings, tree plantings, and public meetings among them. For a complete listing of activities and cosponsors, click on http://www.sosdelaware.org/. Camden, DE 19934 BOARD ORIENTATION. All members are invited to this no-fee event. An LWVUS PowerPoint presentation will be given, followed by discussions of the League's nonpartisan policies and an examination of the Advocacy Corps. Board governance issues will be addressed. Please bring your own brown-bag lunch. Drinks and snacks will be provided. RSVP League<http://www.lwvde@comcast.net> or call the office at 302-571-8948 by Wednesday, August 14. More details and an agenda will be provided shortly. Dover, DE 19901 State Board Meeting. Dover, DE 19901 Convention 2013. League of Women Voters of Delaware invites all members to its Biennial Convention on Saturday, May 18, 2013, at the Sheraton Hotel, Dover, Delaware. A business meeting and a workshop will be held in the morning(see below). We will break for lunch at noon. Lunch is at 12:15 PM, followed by our keynote speaker, Mr. Ed McKee, Delaware Secretary of Agriculture. There will be a workshop at 1:30 PM followed by the conclusion of the business meeting. The convention will adjourn at 4:00 PM. Dover, DE 19904 League Day in Dover - Our Annual Legislative Day. The theme of this year's League Day is Public Education: Trends and Issues. Morning Program: The morning session will feature a Keynote Address by Senator David Sokola followed by three workshops. Buffet luncheon with all legislators are invited to attend. From 1:30 to 4:00 pm, there will be opportunities to attend committee meetings and visit with your legislators regarding important issues at Legislative Hall. Learn more about League Day and register online now! Dover, DE 19901 LWVDE Board Meeting. RSVP to the League office if attending. Letty will give you information and directions. 1:15 pm Legislative Hall, Senate Hearing Room ACTION ALERT!. The LWV is a member of the Delaware Coalition Against Gun Violence (DCAGV). There will be a press event on Tuesday, March 19, 2013 at 1:15 p.m. in the Senate Hearing Room to announce the formation of the DCAGV. 93rd Birthday of the LWVUS!!. Bill of Rights Day. The Bill of Rights went into effect on December 15, 1791, when Virginia became the 11th state to ratify the document. Wilmington, DE 19807 Delaware Coalition for Open Government's Third Reception for Delaware Elected Officials. The reception is an opportunity to meet with Delaware's elected officials and discuss issues of concern. To RSVP, call 302-319-1213 or e-mail jdf0000@aol.com. The LWVDE and the LWVNCC are among the co-sponsors. Georgetown, DE 19947 Return Day. Every two years, Georgetown hosts this unusual event, a half-day-long parade and festival two days after Election Day. Stemming from the colonial days in which the public would congregate in Georgetown two days after the election to hear the results (because it would take that long to deliver the results to the courthouse by horseback), the winners of that year's political races parade around The Circle in carriages with the losers and the chairs of the county's political parties ceremonially "bury the hatchet" in a tub of sand. The afternoon is marked by a traditional ox feast, much revelry, and, of course, the beginning of the next round of campaigns. Many in Delaware feel that the state's traditionally chummy and staid political climate is due in large part to the Return Day tradition. In 2010, the LWV SC won an award for its entry in the parade. All LWV members in the state are invited to participate this year. 7 am - 8 pm General Election. Due to redistricting in 2011, all Delaware House of Representatives and Senate seats will be on the ballot with some Senators elected to four year terms and some to two year terms. In addition, the offices of Governor, Lt. Governor, Attorney General and Insurance Commissioner are on the ballot as are those of U.S. President, Delaware's Representative in Congress and one U.S. Senator. NOON Deadline for issuance of absentee ballots. The last time that the Department of Elections can issue an absentee ballot for the General Election. Deadline for mailing absentee ballots. Last day the Department of Elections is required to mail absentee ballots for the General Election. Deadline for Military and Overseas Citizens to register to vote before the General Election. Click here for details. DEADLINE to register to vote or to change party affiliation before the General Election. The period in which you can change your party affiliation after the primary election begins the day after the primary election. Click here for details. Rehoboth Beach, DE 19971 LWV of Sussex County Education Forum. Details to follow. National Voter Registration Day. The League of Women Voters partners with dozens of organizations across the US to conduct registration parties, person-to-person, grassroots, high tech, and media efforts. With your help, it will be the biggest single-day effort in US history to make sure every eligible citizen gets registered to vote. Together, we'll reach tens of thousands of voters who would not otherwise be contacted. Constitution Day. Constitution Day celebrates the anniversary of the nation's constitution. In the summer of 1787 delegates convened in Philadelphia to create "a more perfect union" and to craft the country's constitution. They worked to develop a framework that would provide balance and freedom, taking into account federal and state interests, as well as individual human rights. The delegates signed the Constitution of the United States on September 17 that year. Delaware was the first state to ratify the Constitution - on December 7, 1787. The constitution was effective on June 21, 1788, having been approved by nine of the 13 states. 7 am - 8 pm Primary Election. Only duly registered voters from participating parties may vote. NOON Deadline for issuance of absentee ballots. The last time that the Department of Elections can issue an absentee ballot for the Primary Election. Deadline for mailing absentee ballots. Last day the Department of Elections is required to mail absentee ballots for the Primary Election. DEADLINE for Military and Overseas Citizens to register to vote before the Primary Election. Click here for details. Women's Equality Day. At the behest of Rep. Bella Abzug (D-NY), in 1971 the U.S. Congress designated August 26 as Women's Equality Day. The date was selected to commemorate the 1920 passage of the 19th Amendment to the Constitution, granting women the right to vote. This was the culmination of a massive, peaceful civil rights movement by women that had its formal beginnings in 1848 at the world's first women's rights convention, in Seneca Falls, New York. The observance of Women's Equality Day also calls attention to women's continuing efforts toward full equality. DEADLINE to register to vote before the Primary Election. Click here for information on registering to vote. Dover, DE 19901 League of Women Voters of Delaware Board Meeting. Washington, DC 20009 LWVUS 50th National Convention. Click here for more information. DEADLINE to change political party affiliation before the September Primary. To change your registration from one party to another or from unaffiliated to affiliated with a particular party before the Presidential Primary, contact the County Elections Department. 7 am - 8 pm School Board Elections. To vote in school board elections a person must be a resident in the school district holding the election and be at least 18 years of age. Advance registration is not necessary. To see a list of candidates, go to our School Board Candidates page. Law Day. The 2012 Law Day theme, No Courts, No Justice, No Freedom, underscores the importance of the courts and their role in ensuring access to justice for all Americans. Change Party Affliliation. From April 25, 2012 through May 25, 2012, you may change your party affiliation. 8 pm Deadline to return absentee ballots for the Presidential Primary. DEADLINE to return voted absentee ballots for the Presidential Primary Election to the Department of Elections. 7 am - 8 pm Presidential Primary. Only duly registered voters from participating parties may vote. Wilmington, DE 19806 LWVNCC presents: Child Sexual Abuse Prevention. Come learn what sexual abuse is, the impact it has on people who experience abuse and some strategies for prevention. Also learn about Delaware's Child Sexual Abuse Prevention Initiative, Stewards of Children, and how to get involved in bringing this training to your school and community. This program will also provide child sexual abuse facts and tips for prevention. NOON Deadline for issuance of absentee ballots. The last time that the Department of Elections can issue an absentee ballot for the Presidential Primary. 1:30 - 3:30 pm Contact Pat Todd for location and directions. Energy/Climate Change Committee meeting. Participate in this statewide committee that looks at current legislation and activity in the energy/climate change field. Deadline for mailing absentee ballots. Last day the Department of Elections is required to mail absentee ballots for the Presidential Primary Election. 1 - 3 pm Home of Margo Perkins; email Jane Dilley for directions. Land Use/Transportation Committee Meeting. Discuss Traditional Neighborhood Design exemplar developments; SB 167, dealing with removing 60-day statute of limitations on complaints that county land use law does not comply with state law; HB 279 which requires that the General Assembly must approve any change in auto emissions and not DNREC; NCC Comprehensive Plan update. Equal Pay Day. Equal Pay Day was established in 1996 as a public awareness event to illuminate the gap between men's and women's wages. Equal Pay Day symbolizes the point into the next year to which a woman must work to achieve pay equity for the previous year. Wear RED on Equal Pay Day to symbolize how far women and minorities are "in the red" with their pay! (just north of the new Indian River bridge) LWVDE Leadership Retreat. Join Us for a Weekend of Learning and Fun. Learn "How to Boil a Frog"
New and potential members are encouraged to join us. All meals included except dinner Saturday at the Cottage Cafe. Cozy, comfortable overnight accommodations in the Cottages at Indian River Marina. Use this form to register. Rehoboth Beach, DE 19971 LWVSC presents: Education: Public or Private in Sussex County. A panel of experts will explore the history and the way charter and private schools have grown in the past few years and how this growth impacts public school education. This forum is the final of three addressing issues of privatization of public services and is the League's local exploration of these issues leading up to a consensus meeting as part of the LWVUS privatization study. It will set the stage for further exploration of education issues in Sussex County in the Fall. For background on the national study, go to the LWVUS Study section here. DEADLINE for Military and Overseas Citizens to register to vote before the Presidential Primary. Click here for details. DEADLINE to register to vote before the Presidential Primary. Click here for information on registering to vote. Rehoboth Beach, DE 19971 Contracts: The Tie That Binds in Sussex County. This forum will explore developers' practice of tying you into long-term contracts for anything from propane to cable TV to trash collection that tie your hands for years. A panel will discuss how this happens, why, and how it affects you and your community. This forum is the third of four addressing issues of privatization of public services and is the League's local exploration of these issues leading up to a consensus meeting as part of the LWVUS privatization study. For background on the national study, go to the LWVUS Study section here. Dover, DE 19901 Open Government Forum. All you ever wanted to know about Delaware's open government (Freedom of Information Act): How to find public records online, determine what records are "public," how to obtain public records, rules governing open meetings, and more. Featuring Rep. John Kowalko, John Flaherty, President of the Delaware Council on Open Government (DELCOG), Deputy Attorney General Kent Walker, Past President of the NAACP Cecil Wilson and Dover City Clerk Jody Stein. Sponsored by the LWVDE and DELCOG. All week Sunshine Week. Sunshine Week is a national initiative to promote a dialogue about the importance of open government and freedom of information. Participants include news media, civic groups, libraries, nonprofits, schools and others interested in the public's right to know, including the League of Women Voters. Your County's Elections Department. Last Day to Change your Party Affiliation Before the 2012 Presidential Primary. You may affiliate with a party when you register to vote. If you do not affiliate with any party, you will be registered as "unaffiliated" and will not be able to vote in a Primary Election. To change your official party affiliation, notify your County Department of Elections. Rehoboth Beach, DE 19971 Who Owns Your Roads: Who Pays?. Did you know there are no county roads in Delaware? The DE Department of Transportation (DELDOT) is responsible for all public roads outside most municipalities - and subdivisions. If you live in a subdivision, your Homeowners are responsible for maintenance and snow removal. A panel will discuss how the system works, or not, and what requirements there are for subdivisions to set aside funds for future repair. This forum is the second of four, sponsored by the LWV of Sussex County, addressing issues of privatization of public services and is the League's local exploration of these issues leading up to a consensus meeting as part of the LWVUS privatization study. For background on the national study, go to the LWVUS Study section here. Dover, DE 19901 Environmental Summit. Environmental activists from throughout the state will gather to discuss major environmental topics. Goals of the event include disseminating information and focusing thought on specific legislation that might reasonably be presented in the State Legislature. The meeting will be divided into discussion groups on Climate Change, Land Use, Public Health, Fracking for Natural Gas and Delaware Bay Deepening. LWVDE is a co-sponsor, so this event is free to all LWV members. Others: $5. Wilmington, DE 19808 Hydrofracking for Natural Gas in the Marcellus Shale Formation Public Forum. Four speakers will present their views and answer questions from the audience. Participating on the panel will be Kathleen Stiller, Director, Division of Water Resources. Delaware Department of Natural Resources and Environmental Control; Roberta Winters, Vice-President, LWV Pennsylvania; Maya Van Rossum, Executive Director, Delaware Riverkeeper Network; a gas drilling industry spokesperson. All Day Bill of Rights Day. This is the 220th Anniversary of the addition of the Bill of Rights to the U.S. Constitution. The Constitution was signed by the original 13 states with the understanding that a Bill of Rights would be created, amending the new U.S. Constitution. On September 25, 1789, the First Congress of the United States proposed to the state legislatures 12 amendments to the Constitution. 10 of these amendments were added to the Constitution on December 15, 1791. Later, the 14th amendment applied most provisions to the states. Dover, DE 19901 LWV of Delaware Board Meeting. Wilmington, DE 19806-1152 Freedom of Information in a Digital Age: The Current FOI Landscape. Ken Bunting, the National Freedom of Information Coalition's Executive Director, will explore how the unrestricted free flow of information serves as a cornerstone of democracy and will give an overview of how well the country is operating in that regard at the national level. He then will zero in on open government issues in Delaware such as ease of access to public documents via the Internet, use of digitized public information, increasing costs to access public records, weaknesses in Delaware's Freedom of Information Act, reform of state lobbying laws, the cost to the public when easy access and open government are lacking, and more. Sponsored by DE Coalition for Open Government, co-sponsored by LWVDE. Details including free registration here. 6-8:30 pm Italian Roma Restaurant, Dover LWV of Delaware Board Meeting. 6-8:30 pm Italian Roma Restaurant Delaware LWV Education Fund Annual Meeting. Election of officers and directors, adopt budgets 2011-13, approve project request etc.